Hello there! 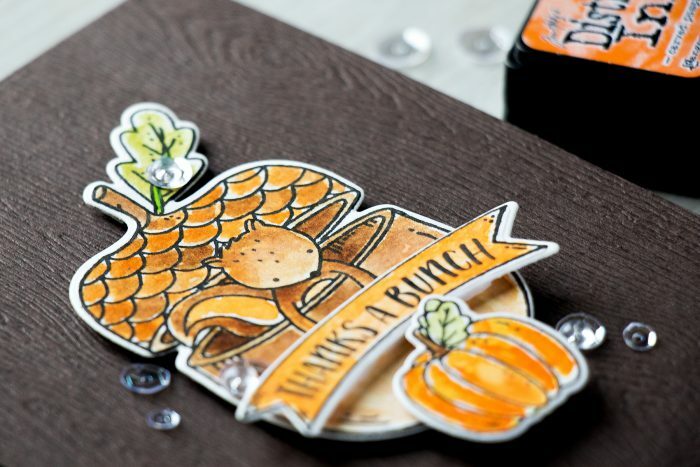 Are you having fun with all of the STAMPtember projects and products from Simon Says Stamp? I am having a blast! 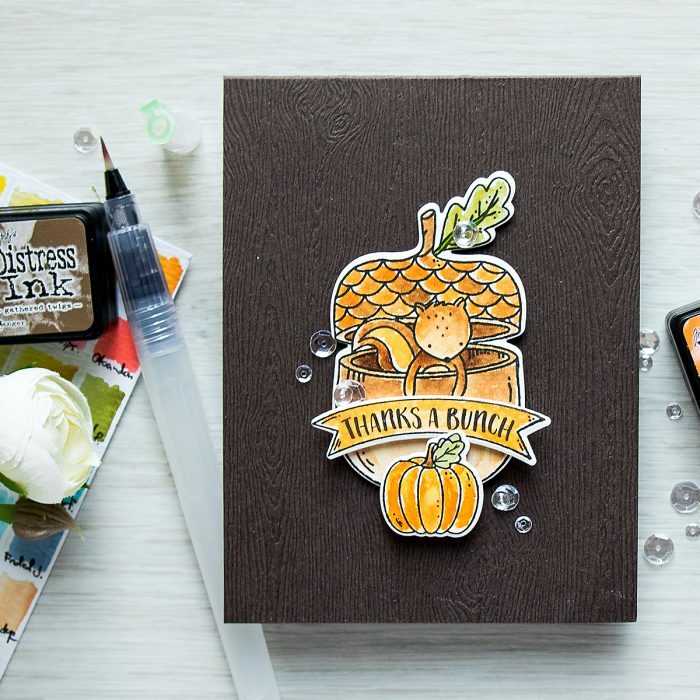 I have a new STAMPtember card to share today, this one is featuring Neat & Tangled collaboration stamp set, perfect for Fall. Like this card? Pin it and save for later! There are matching dies available for this set, so I used them along with my new Platinum 6 die cutting machine and cut the colored images out. For the card base I went with dark brown woodgrain cardstock and simply foam mounted my images for a pop of dimension. 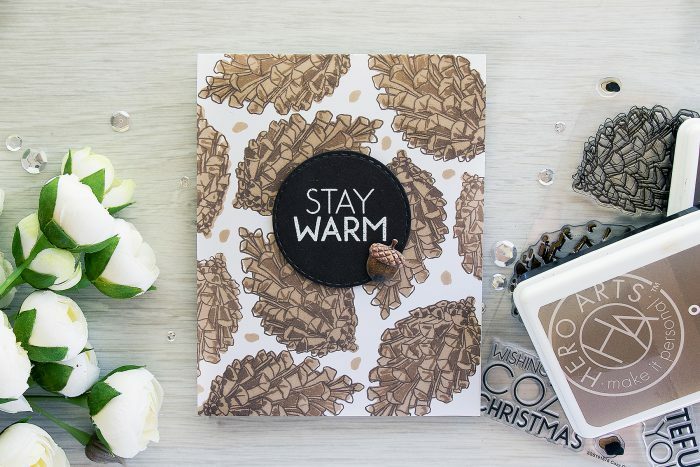 To finish this card I added several sparkling clear sequins and clear drops from Pretty Pink Posh. What a sweet card Yana! 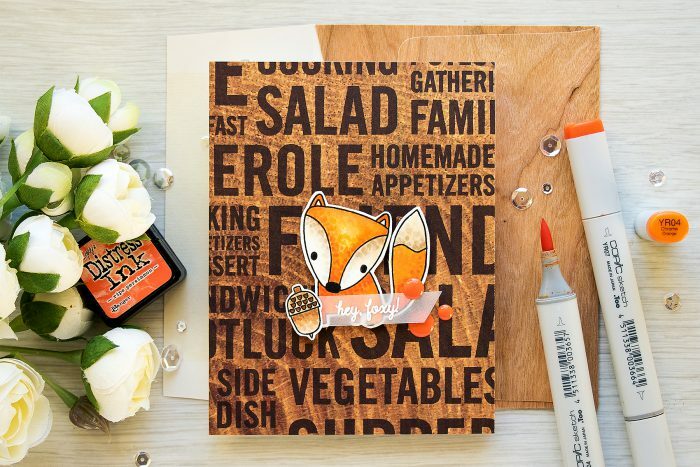 Who makes that yummy Woodgrain cardstock? It’s gorgeous! Love your card!!! I’ve been following your work for a loooong time 🙂 just saw that you moved to Phoenix!! I live in Gilbert. If you ever need someone to show you around, lemme know! This is really lovely Yana. Elena has done a fantastic job designing this set. Hi Yana, not sure if it is my computer or your blog but everyone’s comment is missing – all I see are their names! 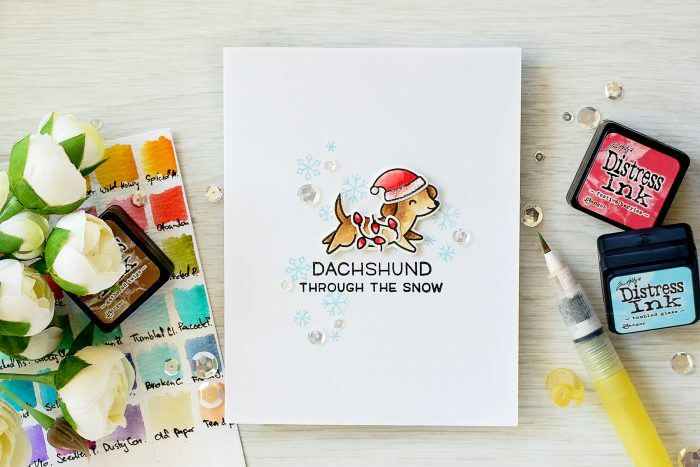 Anyway, LOVE your card – what adorable images and beautifully colored – perfect on the dark woodgrain cardstock! I love this card, it’s so cute. However, the set is already sold out so I guess I won’t get to make this one! 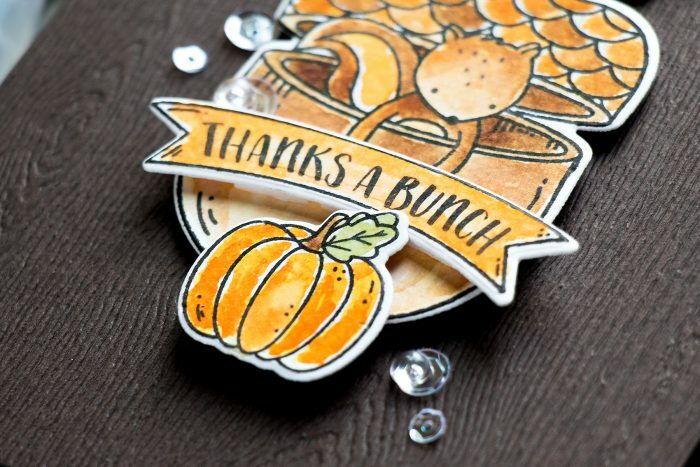 Gorgeous fall card! It screams nature and fall. Amazing coloring!